Ken Mizusawa is a Japanese citizen by birth, a New Zealand playwright by nature and a Singapore civil servant by way of the teaching profession. He is currently a Teaching Fellow at the National Institute of Education, Nanyang Technological University, Singapore, where he teaches in the English Language and Literature academic group. 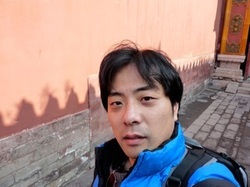 Mizusawa is a writer client of Playmarket, New Zealand, whose plays have been staged in both Singapore and New Zealand. He is a regular speaker and panelist at Lit Up Arts Festival and an advisory board member for a 10-min play competition and festival organized annually by Word Forward Limited and The Writers Centre, Singapore since 2008.